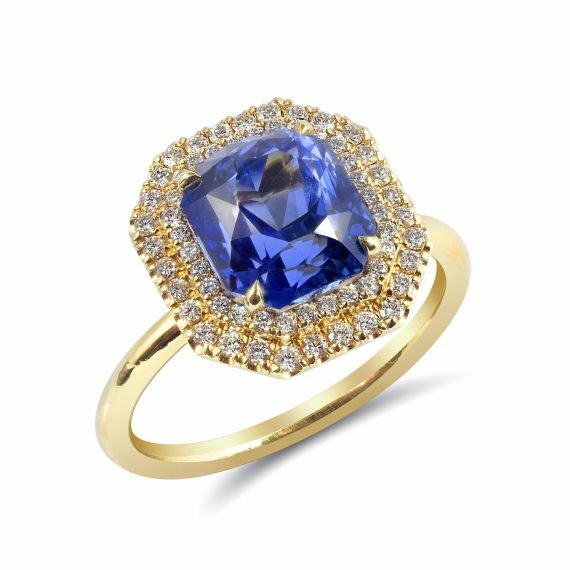 Our Allison sapphire ring is a true natural beauty with a violetish blue radiant-cut sapphire of a lovely cornflower color (3.77 ct). Simply set with a double halo of round brilliant-cut diamonds (0.28ctw), the ring is completed with a comfortable round band. The ring is currently a size 6. Please contact our concierge to resize. The first sizing is complimentary with purchase.